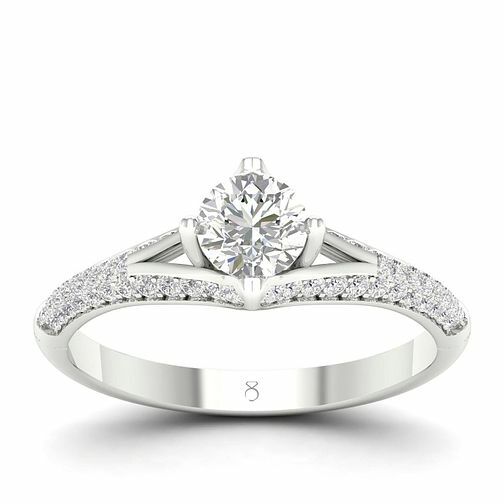 A scintillating split shoulder sits upon this captivating platinum ring. Featuring a round cut solitaire 3/4ct diamond, this The Diamond Story ring is decorated with a sparkling diamond shoulder. A timeless classic, you can count on this beauty to shine bright. Celebrate your engagement with The Diamond Story. Certificated by GSI.